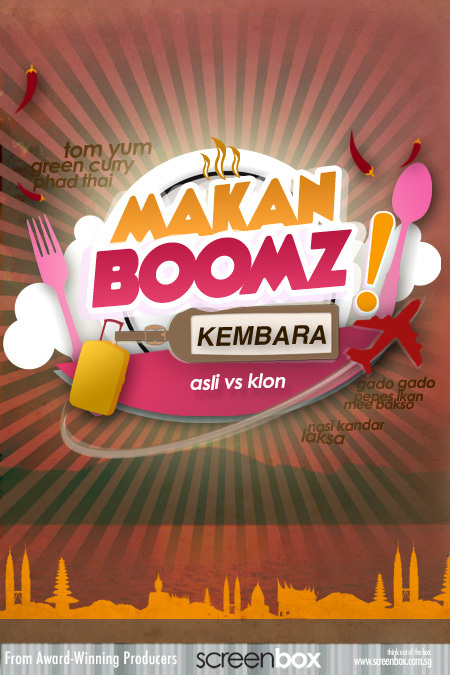 Makan Boomz! returns this season, and this time we’re going overseas! Follow Diva Critic Suhaillah, Chef Critic Bob and Laser Critic Khai as they scour Singapore, Malaysia, Thailand and Indonesia to find the original sources behind laksa, gado-gado, tom yum and more! Which is better, the overseas dishes or their hometown creations? Plus, which clone dish is most popular amongst Singaporeans? Join our critics in their wild adventures for foodie excellence!